Everything is terrible all of the time, but there are moments when rays of sunshine briefly poke out to make our miserable lives a bit more bearable. 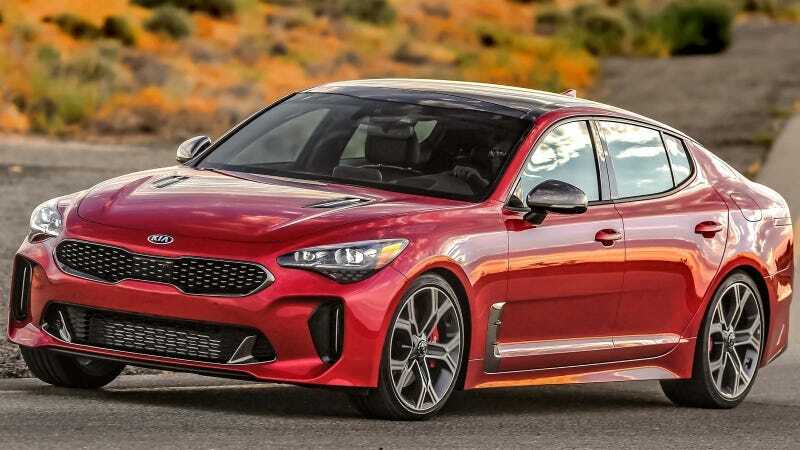 Case in point: you can soon buy a Kia with rear-wheel drive, a twin-turbo V6 engine, performance optimized for the Nürburgring and a price tag that far undercuts the European and Japanese luxury sport sedans. 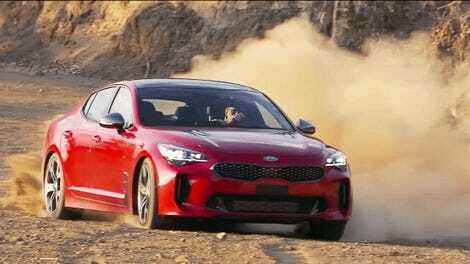 The 2018 Kia Stinger sounds great on paper, but is it any good in reality? That’s what I aim to find out. Next week I’ll finally be driving the all-new Stinger and you get to read my take on it. What do you want to know? As you probably heard, this is an all-new car, and it’s easily Kia’s most ambitious model so far. Based on an evolution of the Hyundai Genesis platform, power goes to the rear wheels from either a base 2.0-liter turbo four with 255 horsepower and 260 lb-ft of torque, or a 3.3-liter twin-turbo V-6 with 365 HP and 376 lb-ft in the top GT trim. On the latter, zero to 60 mph happens in just 4.7 seconds. Again, great on paper. But how does it really drive? Hyundai and Kia have been making objectively excellent cars for a while now, but the one area they’ve been truly lacking in is competitive driving dynamics. Maybe all the German engineers and designers they poached to make this happen can fix that. As for me, I’m really excited to drive the Stinger. At this point I’ve driven every other sport sedan in the segment, so I have a lot of context going in. And I have high expectations. You’re going to hear whether this car can meet them or not. Let me know what you want to know about the Kia Stinger and I’ll include it in my coming hot take.